Three Decades On, the Protection of Human Rights in Africa Comes of Age? When the African Commission on Human and Peoples’ Rights convened in Addis Ababa, Ethiopia, on 2 November 1987, as the continent’s pioneer regional human rights oversight institution, few thought of it as anything other than a plaything of the continent’s big men. The pioneer Chair of the Commission was the personal lawyer to Gabon’s long-serving President, Omar Bongo. His Vice was a senior Egyptian Ambassador. 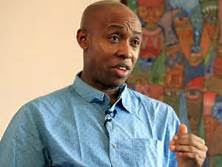 The rest of the Commission was made of the Interior Ministers to Congo’s President Sassou Nguesso and Libya’s Muammar Gaddafi and Mali’s Foreign Minister; three very senior judges from Botswana, Senegal and Tanzania respectively, a law professor from Nigeria and two other lawyers from Uganda and Zambia. The only woman was Mrs Esther Tchouta-Moussa, the pioneer Secretary of the Commission borrowed from the Secretariat of the AU’s predecessor, Organisation of African Unity (OAU), where she worked as Legal Adviser. Many people justifiably doubted whether this body could confront or address the challenge of protecting human rights on the continent. While most members among the initial composition of the Commission did not necessarily bring personal credibility and expertise to the question of human rights, they enjoyed access to rulers around the continent, an invaluable position for laying the foundation for regional human rights institutions in Africa. Recognising the political context in which they operated, the Commissioners agreed to a goal of building a regional system that would “stand on a solid foundation” and for this purpose to “make slow but sure lasting progress.” With its Secretariat in makeshift headquarters in Banjul, The Gambia, and a Secretary borrowed from the OAU, the Commission took its first tentative steps towards fulfilling an ambitious mandate. Three decades on, this modest beginning has spawned a regional human rights system for Africa that now comprises a very complex network of norms, institutions and procedures. It is hardly recognisable from its earliest incarnation. The Commission’s membership now has a majority of women and all of its recent Chairpersons in the past decade (including the incumbent) have all been female. Since the Commission was established, the continent has adopted regional treaties on the rights and welfare of children, on the human rights of women and on internal displacement. Seven years after they came into existence, the African Commission persuaded the Organisation of African Unity (OAU) to authorise negotiations for an African Court on Human and Peoples’ Rights. In 2016, the Court, with its headquarters in Arusha, Tanzania, marked ten years of its existence. The family of murdered journalist Norbert Zongo benefited from an African Court ruling that found that the previous government may have been complicit in his killing and in failing to find out who killed him. This difficult history will be lost on many who reflect on the protection of human rights in Africa today. Around the continent now, the reality of institutions that receive complaints from citizens and can decide against powerful governments in cases of human rights violations is taken for granted. The African Commission itself has received over 600 of such petitions since it began and had decided nearly 450 by the end of 2016. Countries that used to be reluctant to obey decisions of these bodies now do so. For instance, when the Commission found that Cameroon had violated human rights in unlawfully firing Judge Abdoulaye Mazou, the government reinstated him and paid compensation. Botswana reinstated the citizenship of opposition politician, John Modise and his children, after it had unlawfully rendered them stateless. The Commission saved the life of Nigerian General and diplomat Zamani Lekwot, sentenced to death by a military tribunal without a right of appeal. Burkina Faso has paid compensation to the family of slain journalist, Norbert Zongo, after the African Court found that the previous government may have been complicit in his killing and in failing to find out who killed him. The Commission now also has several special procedures patented for diverse human rights issues, including extra-judicial killings and human rights of women. It has issued standards and guidelines on various issues from free expression to counter-terrorism. Its Model Law on Access to Information in Africa has inspired the adoption of about 15 new national level laws on the same subject across the continent. 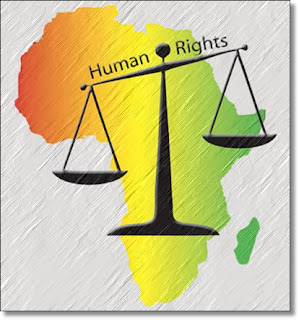 The record of the African Commission has made the continent’s leaders somewhat more accepting of regional supervision of human rights in Africa. Therefore, in the period since the Commission was established, the African Union has made human rights a fundamental principle for regional inter-governmental relations in Africa. Several of the continent’s economic integration bodies, including those in west, east and central Africa, have also established regional courts of justice, nearly all of them with jurisdiction over human rights. This could hardly have been foreseen when the African Commission first convened in 1987. Notwithstanding this evidence of progress, the record of Africa’s regional human rights courts and tribunals remains mixed. Despite some progress, they have been unable to prevent mass atrocities on the continent or to ensure firm accountability for them. The African Commission’s mission to Sudan in 2004, helped make the case for the international commission of inquiry that ultimately recommended the referral of situation in Darfur, Sudan, to the International Criminal Court. The Rwanda genocide must rank as one of the Commission’s greatest failures. Furthermore, other situations of grave violations of human rights, including Burundi and Central African Republic, have festered without effective regional response. However, there is still a lot of room to reimagine Africa’s regional human rights system. Poor funding suggests a lack of commitment from the governments that should support it the most. The fact that Africans still cannot enjoy effective protection around their continent implies an unwholesome separation of economic from political rights. As Rwanda President Paul Kagame recently recommended in his review of the institutions and organs of the African Union (AU), there must be room to re-examine the multiplicity of overlapping regional courts and tribunals in order to save costs, reduce confusion and improve efficiency. Above all, the persistence of mass atrocities challenges the aptitude of the continent’s institutions and the commitment of its governments. It is also the ultimate major test of the efficacy of Africa’s regional courts and tribunals. The continent cannot continue to outsource accountability to the rest of the world but the rest of the world cannot also continue to infantilise Africa or perpetuate the notion that the only place in which Africans who violate their own people can be effectively held to account is outside the continent. The recent conviction of Chad’s former President, Hissene Habre, by an AU-supported court in Senegal is evidence that it is possible to address high-level accountability for mass atrocities in Africa. This is why the proposal for an international crimes complement to the African Court on Human and Peoples’ Rights should not be dismissed lightly. Those 11 men and one woman who met in Addis-Ababa on 2 November 1987 at the First Ordinary Session of the African Commission may not have reflected anyone’s idea of traditional champions of human rights. Few of that pioneering set of commissioners would be eligible for election to the Commission today. That demonstrates how far the system has come. But they were also true to their word as the progress has been “slow but sure”. Whatever their flaws, the foundation of Africa’s regional system has been “solid”, if unspectacular. All this suggests that they were canny and, in their own way, committed to a better continent. Nice and useful information about human rights lawyer. I really liked it.